It's Thursday and time for another fun color story at The Play Date Cafe. This week it's everybody's favorite - a color splash - and this week it's a splash of Cobalt. I took inspiration from the flower and created my card using one of my favorite flower stamps from a Wendy Vecchi Studio 490 set called Sketch Art. Since the colors are black and white with a splash of blue, I decide I would do something a little different and make my own accents. I drew the border and doodled (scroll down for more on my doodling) in the flower and leaves freehand with a black Sharpie fine point pen. The sentiment is from a Dyan Reaveley Dylusions stamps set called Quintessential Quotes. The blue circle was made from Stampin' Up Pacific Point card stock and the blue bling is from this week's sponsor Want-2-Scrap. Hopefully, you're inspired to get to work on a creation for this weeks color splash challenge. 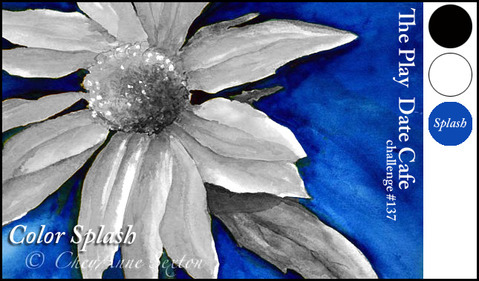 The Cobalt Blue is a really fun color to work with and I hope you will join us. One lucky winner will get some awesome bling from this week's sponsor Want-2-Scrap. 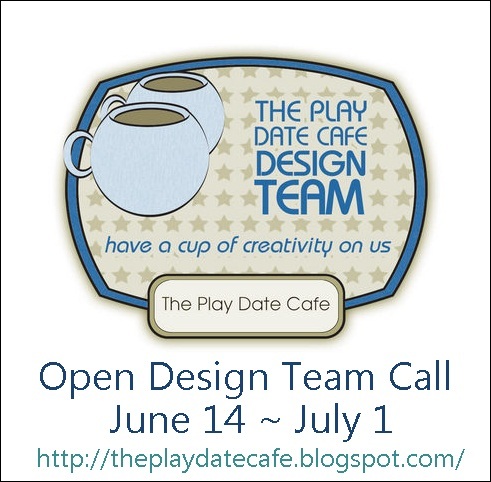 Don't forget - The Play Date Cafe is holding it's first Open Design Team Call in over a year! It's such a great place work and the design team is filled with some of the nicest people in blogland. Check out The Play Date Cafe Blog for all the details. I'm not saying I did Zentangle with this card, because I'm not really sure what it is yet - I'm just calling it doodling. It's an art form I practiced extensively and perfected while I was in college sitting through lectures. I could doodle and take notes. 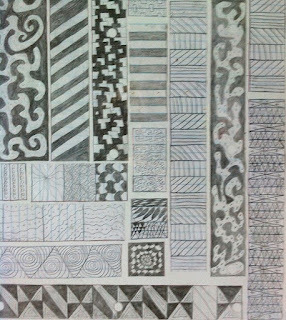 After I graduated, I refused to throw out my notebooks because they contained my lovely doodle artwork! 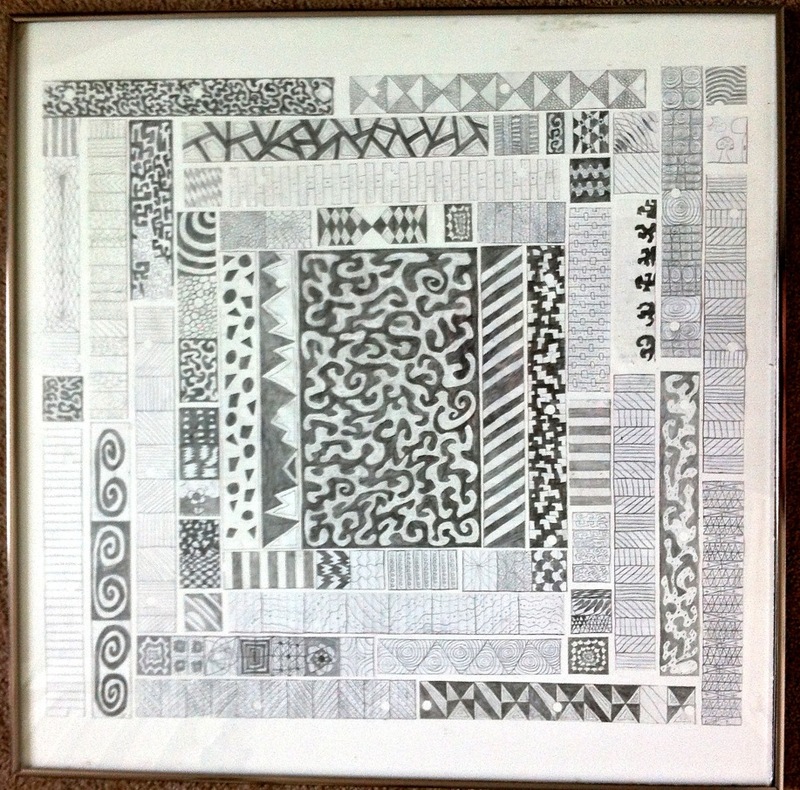 A few years ago I cut out my doodle masterpieces from the edges of my notebook papers and created this wall art so I could put them on display and enjoy them. 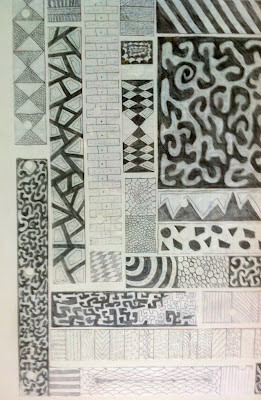 Below is a picture of my doodle art wall hanging. I just dug it out of the garage (that's where it ended up when I moved 7 years ago)- it's seen better days. Great "doodle" flower and I love the sentiment. 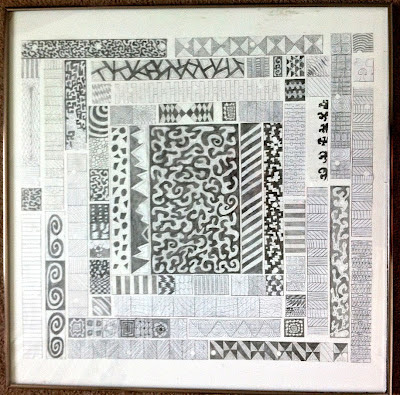 That was a great way to display your college notebook artwork! Better than keeping all those notebooks and never really opening them. OHHHHH! I cannot believe you doodled that flower! WOW! LOVE it! LOVE the blue blinged center! FAB JOB! beautiful card!!! And I have to let you know that I just recently got the january 2012 CARDS magazine and saw one of your projects in it and I was so excited! hehehe! Whoa!! LOVE this card! Really like the black and white with that super pop of cobalt! The 'doodling' adds such depth, LOVE it Donna! Another great card! Gorgeous card! And, I LOVE your doodle collage. It's beautiful! *I'll* say you perfected that doodling, Donna! It's really gorgeous! Your card for PDCC reminds me of a unique journaling page. Fabulous job! LOVE the artsy feel of this one, Donna! And your cobalt center is the perfect splash! Delish! 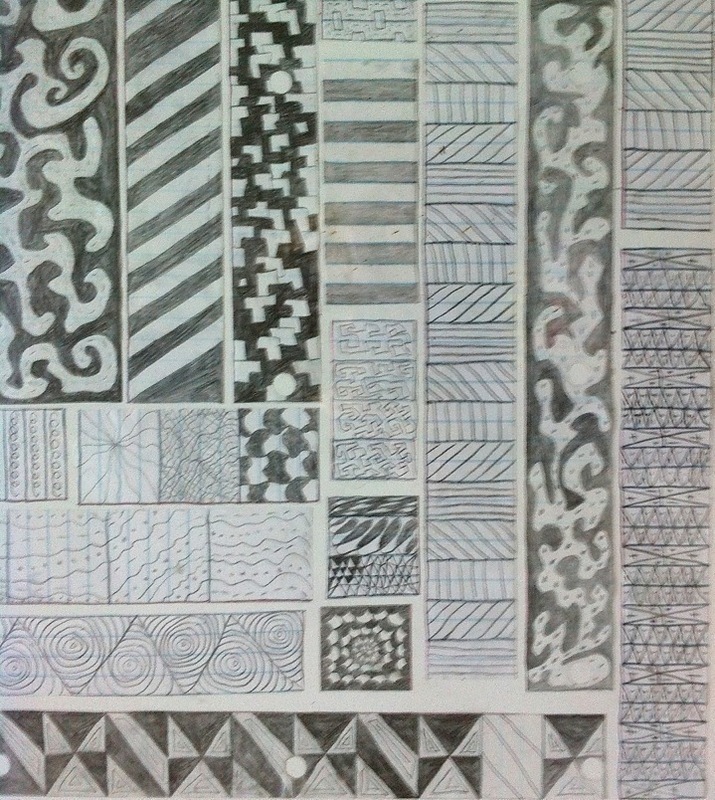 I like your zentangle card and love your intricate college doodling collage. You are a true artist. Blessings! 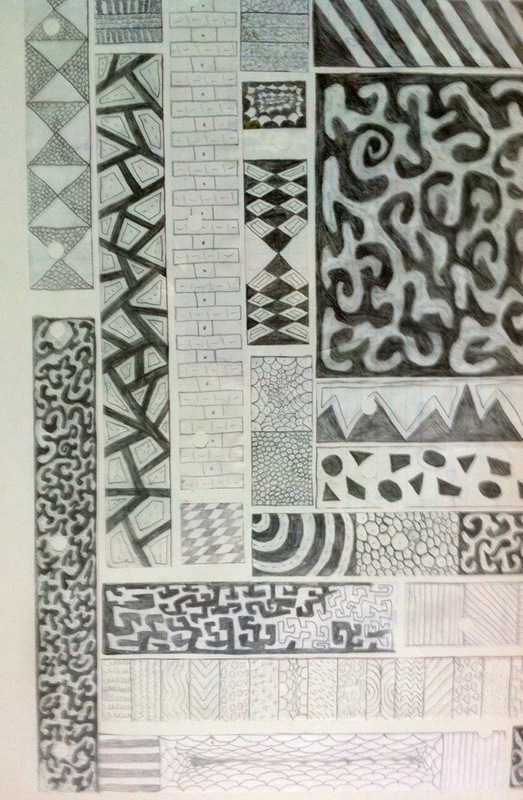 I love to do zentangle, it's one of my new things. SO glad you're into it too! Love your card, it's so funky!